Based in the Los Angeles County, miVIP Surgery Centers is a leader in minimally invasive outpatient surgery, pioneering robot-assisted procedures all over the United States. After receiving a recommendation, miVIP sought out our help in development a number of branded emails for their company, as well as their sister company. Beginning in late 2016, we’ve worked with the miVIP marketing team to accomplish much in the area of emails. 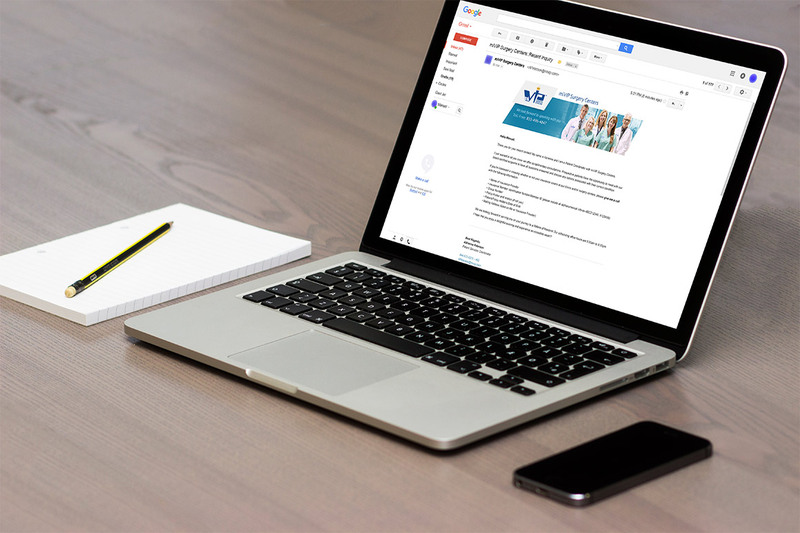 Our efforts here included designing and developing emails that promote their webinars, email templates that utilize branded Outlook stationery, and even automated emails that respond to their prospective patients.